Two Boutique Studios Under One Roof. Our Pilates Studio is a fully equipped Classical Pilates Studio that honors the true legacy of Joseph Pilates. We offer Apparatus classes, Private sessions, In-Home Private sessions and Semi Private sessions. During Pilates, your strength, flexibility, balance and concentration are developed through simple effective exercises designed to lengthen your musculature while increasing muscle definition and endurance. Our Core Fitness Studio incorporates intelligently designed training for deep muscle strengthening and development. We sculpt long, lean bodies through our Pilates Mat, Reformed Ride, TRX, Barre, Yoga & KALOS classes. Find everything you need at pkc! Strong core. deep strength. Body Connection. Copyright 2018. 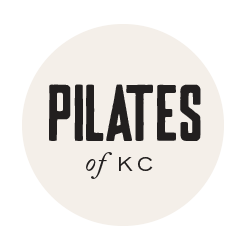 All rights reserved - Pilates of Kansas City. Site by Hello Big Idea.